Dear friends, welcome to the “GO GOALS!” board game. 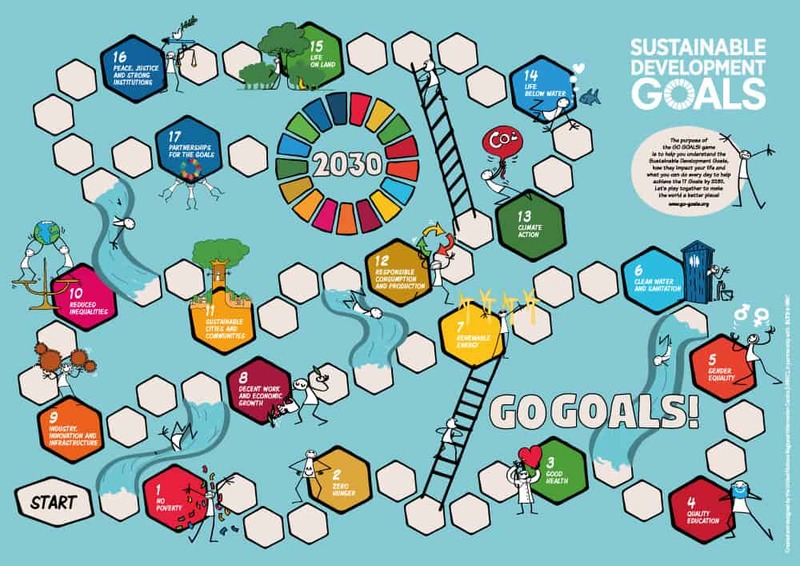 The purpose of this game is to help children understand the Sustainable Development Goals, how they impact their lives and what they can do every day to help and achieve the 17 goals by 2030. The Sustainable Development Goals are 17 priority goals that cover a number of important issues for the world, including: ending extreme poverty, ensuring all children receive a good education, achieving equal opportunities for all, and promoting better practices for consumption and production that will help make the planet cleaner and healthier.